Whereas Puppet and Chef will appeal to developers and development-oriented shops, Salt and Ansible are much more attuned to the needs of system administrators. Ansible's simple interface and usability fit right into the sys admin mindset, and in a shop with lots of Linux and Unix systems, Ansible is quick and easy to run right out of the gate. Chef has a stable and well-designed layout, and while it's not quite up to the level of Puppet in terms of raw features, it's a very capable solution. Chef may pose the most difficult learning curve to administrators who lack significant programming experience, but it could be the most natural fit for development-minded admins and development shops. Look to these automation, orchestration, and configuration management tools to keep your server farms running smoothly..
Was it only a few years ago when deploying a single server was a big occasion? First we needed to unpack it, mount it, test it, and install the software. Then we could put it to work. Today, we're asked to spin up 200 servers before lunch, configure them, crunch some numbers, and return them before the 1 p.m. staff meeting. Time is money, and servers are bought by the hour now. That explains the explosion of interest in tools that let us manage hundreds of machines with a few quick clicks. Here's a list of some of the most intriguing new tools for making our server farms jump to attention in less time than it took to slice open the tape on a server box. More than a dozen years ago, developers at U.C. Berkeley looked at the clusters of computers throughout the campus and realized they needed a way to keep track of them -- so they built and rebuilt Ganglia. Today, Ganglia is one of the most comprehensive sets of tools for monitoring a diverse cluster of machines. It collects statistics with a lightweight protocol and graphs them so that you can watch performance over time. Distributed with the BSD license. There are hundreds of graphing libraries and visualization tools, but they're usually aimed at a fairly static collection of data. Graphite is designed to support real-time data from dozens of streams. The data goes in one side of the application, where it's stored in a real-time, scalable database optimized to handle the numerical streams of information. The system is designed to keep up with fast streams of data from multiple sources. There's even an elaborate caching system to make sure the graphs are up to date. Tools like Graphite and Ganglia may make it easier to monitor the state of the system, but they require someone to sit and watch the screen as the lines dance up and down. Tattle is designed to watch the graphs for you, then send off alerts if a line crosses over into some place it's not supposed to be. These alerts usually go out as text messages and emails, but you can configure them with a plug-in if you want special behavior like a warning siren and flashing red light connected to an Arduino controller. Written in PHP for both Graphite and Ganglia. There are only three things that are certain for sys admins: death, taxes, and logs full of events. The earth goes 'round the sun, and the log files fill up with entries about visits to the websites and all of the random housekeeping around the stack. Logstash is an open source package designed to put a pretty face on the endless streams of data. It parses the entries, segments them, and builds graphs so that you can drill down looking for items that need investigating, all through the Web interface. If you need to customize the system, you can write new filter plug-ins that fit into the flow of data. Logstash may build elegant, rolling log files, but these can only be searched with basic queries. Kibana is glue between Logstash and Elasticsearch. It dumps Logstash log information into Elasticsearch so that you can write Lucene queries to find what you want. Not only can you use Boolean searches and wild cards to pick through the log files, but Kibana goes one step further by running these queries periodically and packaging the results into a dashboard that's also published with RSS and some other standards. Everyone loves the idea of the cloud, but no one wants to let go of the security of owning the servers. CloudVelocitywants to ease companies into the cloud (specifically Amazon Web Services for now) by offering a hybrid that mixes the cloud machines with the private boxes. Moving data and operations between the two is meant to be as easy as possible, perhaps as easy as dragging some icons across a Web page. The company promises to let you test your operations with separate test rigs built by cloning existing machines. Now if only it would let us clone ourselves so we can get everything done that the management wants. Another tool for easy cloud migration, Ravello is a layer that sits on top of the major clouds (Amazon, HP, Rackspace) and helps development teams deploy multitier apps into these clouds for testing. You upload the VMs into Ravello and use the drag-and-drop GUI to map out their relationships; Ravello spins them up in the cloud while preserving their network and storage configurations. It's one key feature lets you get several VMs running on just one cloud machine, a nice enhancement if you happen to have a bunch of lightweight VMs that don't need a full machine. A long time ago, developing software was more straightforward. You had your favorite editor and the compiler. Your file either compiled or it didn't. Today, life is much more complex. There are libraries galore and extra tools for pre-processing or post-processing or housekeeping. All of these are updated periodically, ensuring that everyone on the development team ends up with diverging environments. Eventually, code will compile on some machines and not others, causing the developers to start pointing fingers. Vagrant juggles all of the packages for all of the tools so that everyone is working with the same environment. It smooths out the differences and ensures that the libraries and dependencies are in sync, saving everyone the hair-pulling and blame-casting. Keeping a cloud of machines working together is not so simple, especially if you want new machines to come and go on demand. Salt is an open source cloud management tool that offers a Python-based communications backbone that links together the "master" and "minion" nodes. The master issues orders, and the minions carry them out. SaltStack, a "branch" of Salt backed by professional support, boasts deployments of several hundred thousand managed machines. Salt is developed under the Apache 2.0 license. Ubuntu's Juju is a project that starts to hide the machines behind a wall of services. In Juju the façade is called a "charm," which is the packaging wrapped around the service. Behind the façade is a load balancer that can ask any number of machines to answer the request for data. If you need more power, you can add more machines to each charm without reconfiguring anything else. The load balancer inside the charm knows what to do with the extra help. Ubuntu already offers a number of standard charmsthat are ready to deploy, or you can customize them for your own needs. Ubuntu Juju is released under the GNU Affero Public License. Chef is one of the two big tools used for configuration management. If you like writing straightforward code in Ruby for installing the right packages for your new machines, Chef is the tool for you. You write the instructions for which packages should be installed in which order, then Chef does the work for you. There is a wide variety of plug-ins ready to install many common packages. The other major configuration management tool is Puppet. While many features are the same, the main language for specifying which packages are necessary is a bit different. Puppet asks you for a list of dependencies, then figures out how to install the right packages so that everything is ready to run. Puppet Labs maintains a large collection of plug-ins that simplify many chores. Official Indian Railways app for travelers using railways for taking holiday vacation trips, official trips, tours, and daily commute. Site provides train-running related and real-time status queries for all trains of India. PlayOnLinux is a piece of software which allows you to easily install and use numerous games and apps designed to run with Microsoft® Windows®. You don't have to own a Windows® license to use PlayOnLinux. PlayOnLinux is based on Wine, and so profits from all its features yet it keeps the user from having to deal with its complexity. PlayOnLinux uses Bash and Python. Occasional performance decrease (image may be less fluid and graphics less detailed). Not all games are supported. Nevertheless, you can use our manual installation module. Whether you are new to Linux or an old pro, CrossOver can get your Windows productivity applications and PC games up and running on your Linux quickly and easily. Run the Windows software that you need on Linux at home, in the office or at school without purchasing a Windows license, without rebooting your computer and without having to use a virtual machine with CrossOver Linux today. CrossOver can run a wide range of Windows software and games. To see how your favorite application runs under CrossOver, please check What Runs, or search for it using the search tool at the top of this page. And be sure to download our risk free 14 day trial. CloudMagic. This app offers greater email options for those who need more. As you can see, CloudMagic has plenty of features to make any Android user happy. Let's install this app and connect a few accounts. Once the installation is complete, launch the app from either the home screen or the application drawer. When you first run CloudMagic, you'll be prompted to configure an email account (Figure A). CloudMagic on a Verizon-branded HTC One Max. Let's connect a Gmail account first. To do this, tap the Gmail icon, and then enter your Gmail credentials. Note: If you have two-step verification, you'll be prompted for your verification code (so have one handy). You'll then be prompted to grant permissions for CloudMagic to work with your Gmail account. Tap Allow access, and you're finished. Now, let's add an IMAP account. To do this, tap the IMAP icon, and then fill in the necessary information (Figure B). Setting up an IMAP account in CloudMagic. After you fill out the necessary information, tap the ADD button at the bottom, and CloudMagic will attempt a connection to add the account. After accounts are added, they'll be listed at the top of the main screen. When you're done adding accounts, tap on the I'm done button at the bottom of the window. This will take you to the unified inbox for all of your accounts. The Card system is pretty unique and allows you to easily connect to various services. With this, you can do things quickly, save something to Evernote, or interface your email to Zendeskor Tello. Getting to the Card system is not very intuitive. You can look around the interface all day and not find a single clue. But if you open an email, you'll notice a small square icon (to the left of the Reply button -- Figure C). Finding the Card system in CloudMagic. Tap that square icon to open up the Card system. When the Card window opens, tap on the plus sign [+] to add a new card. Scroll through the listing, and find the card you want to add. When you locate the card, tap the plus sign [+] associated with the card (Figure D). Once the card is added, tap the login button to login to that service. Adding MailChimp to the CloudMagic Card system. A nice sample of how this works is having the ability to open up an email and then quickly add the sender's email address to MailChimp by tapping the Add to MailChimp button (Figure E). The MailChimp connection is something very handy for users like me who uses MailChimp to announce book releases). If the available Cards don't suit you, there are more on the way. Adding an email to your MailChimp mailing list. CloudMagic is one of my new favorite Android email apps -- even if for only the Card system. This unique feature makes CloudMagic an email app that's worth checking out. Heartbleed Detector, an app that will tell you if you’re running a vulnerable version of Android on your phone. 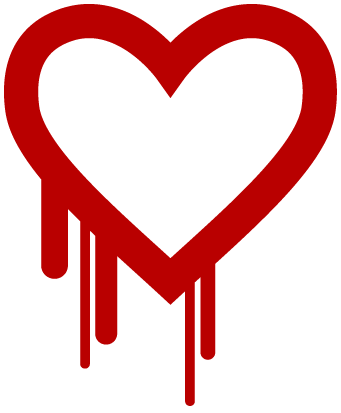 While everyone has been talking about how Heartbleed affects servers and Internet infrastructure, it also affects mobile devices. Our detector app will help you figure out if your device is one of them.